It is generally known that in the closed openings, such as the Queen's Gambit, Black's Main problem is the development of the Queen's Bishop. The Queen's Indian aims to solve precisely this problem by developing the Bishop on b7 ( or as the case may be a6). In the catalan opening White anticipates this pan and takes control of the long diagonal first. 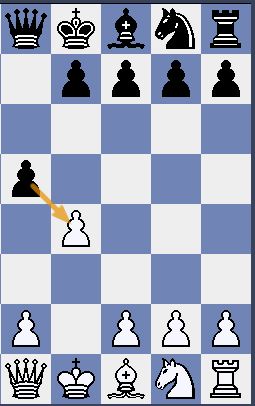 The pressure along the 'Catalan' diagonal is obvious and Black frequently has problems with the development of his Queen side. However, the other side of the coin is that the c4 pawn is left without its most natural defence, the light squared Bishop. This means that Black can capture that pawn at virtually any moment. 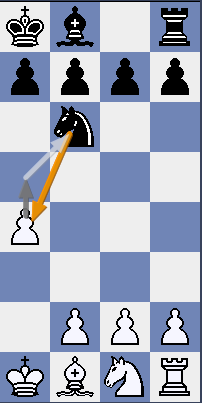 If white decides to win the pawn Back, this is usually connected with loss of considerable time or some other positional concessions. Black can also opt for more solid approach, besides slow development behind the shelter of the central pawn, something like Nbd7, c6, Bb7 or Ba6 and only late choose the best form of counter pay, be it dxc4 or c5. This opening was officially played for the first time in 1929 in the town of sitges (near Barcelona). There were the best players at that time such as Tartakower. The Passionate Francese Armengol who was one of the organizers of the international chess tournament framed in the Universal Exposition of Barcelona. Armengol had in mind that it should be an opening called the catalan opening, so that there is also Spanish, Italian, French or Netherland opennes so, he took advantage of going to the tournament to call a competition where the participants had to invent and play a new opening, that would take that name.It was the Polish Tartakower who won the competition and he put in his pocket the not despicable, at that time, 150 pessetes (Just over one dollor today) A strange combination of gambit of Queen with a Fianchetto of the Kingside. 2 12 Qf3 Be7 13 Nc3 0-0 14 Rd1 White is slightly better due to weak. 3. White's chances are slightly preferable. 4 and White's light squared Bishop should secure him an advantage. As we go on developing our opening knowledge we find that every opening has its own weakness. The player must know in advance the weakness and the strength of the opening before using it in the games. The 'e4' and 'd4' opening is the most common in the chess parlance. When we open with the 'e4' pawn it controls one central square (d5) but the 'd4' pawn opening one additional benefit that it controls the e5-square as well as d4-square. This d4-square is controlled by the queen behind it. Another difference is that when the games opens with e4-pawn it is undefended and hence vulnerable for the immediate attack. It can be explained by the following examples. 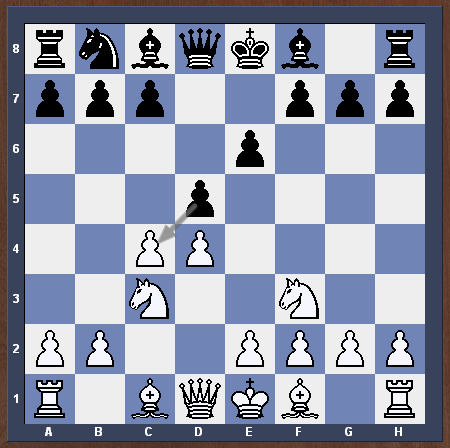 Others allow 2 d4 and then attack e4on Black's 2nd move. : The Caro Kannn Defence ( 1 e6 c6 2 d4 d5 ), the French Defence ( 1 e4 e6 2 d4 d5 ) and the Pirc Defence ( e4 d6 2 d4 Nf6 ). But 1 d4 , none of Black's major defences attack the d4-pawn and none even allow 2 e4, ie these defences all start with either 1 ... d5 or 1 ...Nf6 fighting for control of e4. On the other side, when we White plays 1 d4, it has done nothing to contribute towards castling kingside. In fact, he often follows up with the moves 2 c4, 3 Nc3 and in some cases moves such as 4 Bf4, 4 Bg5 or 4 Qc2 none of which clear the way for kingside castling.. 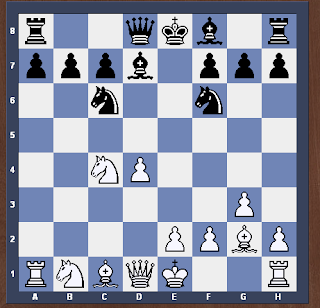 The Whites prospects of castling Queen side enhances due to early development of Knight and Bishop. But When White castles Queen side But the Queenn Side castling carries with it too many risks in terms of exposing White's King to quick attack. Here one might think that the delayed castling of white can be well exploited by the Black.. But the delayed castling hasn't proved a decisive factor in the ensuing play. 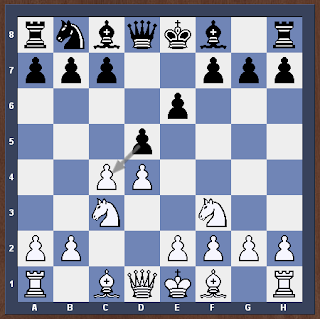 Furthermore, White can achieve positions in which his moves allow rapid castling anyway. Black emphasizes prevention of e4 since that would ideally be White's next move. Opening Instructor Part 1 : Catalan Defence. Middle game Strategy Part 17.
middle game strategy part 15.